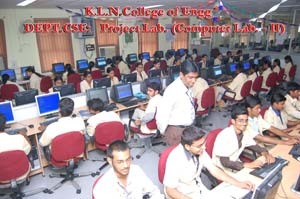 The Computer Science and Engineering Department is established in the year 1997 and is accredited by NBA, New Delhi. 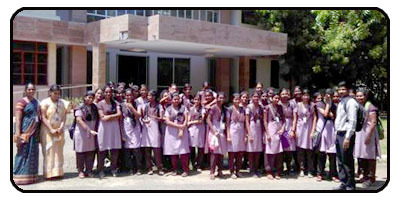 M.E (CSE) Programme is started since Academic year 2010-11. Experienced faculty member transform their expertise through state of art facilities available in the department. The department motivates the stake holder to contribute effectively through innovative research. 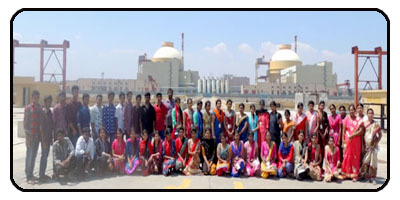 Each batch student of UG and PG bag more number of ranks in Anna University exams and secure placements offers in the premier organizations. •	Imparting proficient education through quality teaching –learning process in tune with the interdisciplinary needs of global work environment. •	Inculcating the attitude of continuous learning through industry institution interaction, consultancy and research activities. •	Cultivating professionalism, Ethics and integrity of character for positive contributions to society. PEO I Contribute effectively to the society by applying principles of computer science and engineering for analyzing the real world problems to produce Optimal and acceptable technical solutions. PEO II Sustain as good professionals by pursuing career / advanced studies and practice innovation in emerging technologies through lifelong learning. PSO1 Ability to apply good analytical, design and implementation skills to formulate and solve scientific and business applications pertaining to Algorithms, Computer Systems, Networks, Security, Data Analytics and Artificial Intelligence. PSO2 Ability to update knowledge continuously in the tools like Rational Rose, MS VISIO, NS, VMware workstation, Mobile Application Development tools and technologies like storage, Computing, communication to meet the industry requirements. PO2:Problem analysis:Identify, formulate, research literature, and analyze complex engineering problems reaching substantiated conclusions using first principles of mathematics, natural sciences, and engineering sciences. PO7:Environment and sustainability:Understand the impact of the professional engineering solutions in societal and environmental contexts, and demonstrate the knowledge of, and need for sustainable development. PO10:Communication:Communicate effectively on complex engineering activities with the engineering community and with society at large, such as, being able to comprehend and write effective reports and design documentation, make effective presentations, and give and receive clear instructions. PO11:Project management and finance:Demonstrate knowledge and understanding of the engineering and management principles and apply these to one’s own work, as a member and leader in a team, to manage projects and in multidisciplinary environments. Intel Xeon E3-1220 V2, (3.1 GHz/4-core/8MB/69W) 2x4 GB DDR3 RAM, 1 TB SATA 3 LFF (3.5 inch) HDD Non hot plug SATA RAID Controller, DVD ROM 1x300 W, 18.5’ TFT LED Monitor, HP USB Keyboard, HP USB Opitcal Mouse. Wipro Server Z2531-0097 1X E5504 (AC 2.0 GHz, 4MB cache, 4.8 GT/S), Intel 5500 chipset, 8 GB DDR3 1066 Reg. ECC, 500 GB SATA HDD, 7200 rpm no RAID, No HSHDD, No RPS, DVD writer/keyboard/mouse. 18.5” TFT Color Monitor. HP 3330 MT Desktop, Intel Core i3 Processor, H61 Chipset Mother Board, 500 GB SATA HDD, 18.5” TFT LED Monitor, HP USB Key Board and Optical Mouse. 4GB DDR3 RAM - 15 Nos. 8GB DDR3 RAM - 45 Nos. Intel core i3-4160 Processor, 8 GB DDR3 RAM, 500 GB SATA Hard Disk Drive. This lab is primarily focused in the area of Research.Students are guided by the projects using Advanced softwares like AJAX, ASP etc.,The network Tools like NS2, Glomosim, SIM,MATLAB are installed towards to carry out the research activities in the current area. Wipro ivalue Desktop Intel Core i3-550 @ 3.2 GHz, 4 MB cache Intel H55 chipset 4 GB DDR3 1.66 MHz RAM, 500 GB SATA HDD @ 7200 rpm, 19’ wide TFT Monitor, Multimedia KB, Optical mouse. Wipro ivalue Desktop Intel Core i3-550 @ 3.2 GHz, 4 MB cache Intel H55 chipset 4 GB DDR3 1333 MHz RAM, 320 GB SATA HDD @ 7200 rpm, 18.5’ wide TFT Monitor, Multimedia KB, Optical mouse. Our department is very keen to have close association with Industry. Our department has strong relationship with Premier industries like Infosys, ICTACT, IBM, Wipro, Keane, TCS, Hexaware, Slash support etc. 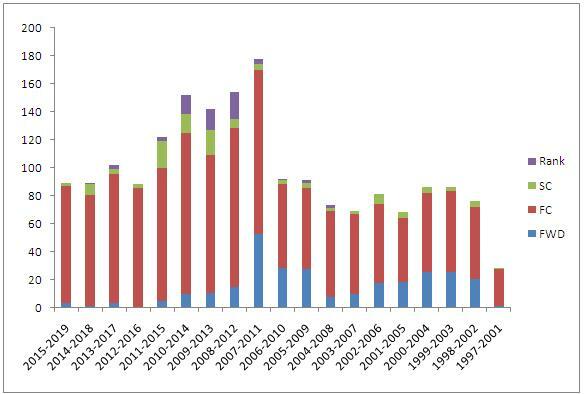 Based on the relations our department completed the following Industrial projects and consultancy. 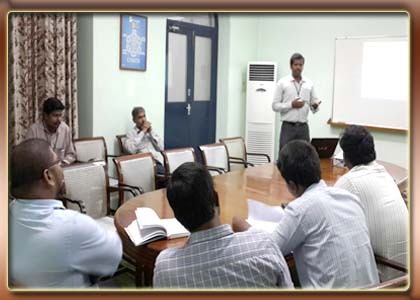 Business Process Training o E-Commerce to Employees of Madura Coats. Web Site Development and Deployment Merit Engineering at Madurai. Students designed the solution for the requirements given using open source software package. Students as a team developed this project. PSO: PSO1 and PSO3 Completed. Design and Development of "RFID Based Product Tracking"
Students designed the solution for the real time project requirements. Students as a team developed this project. 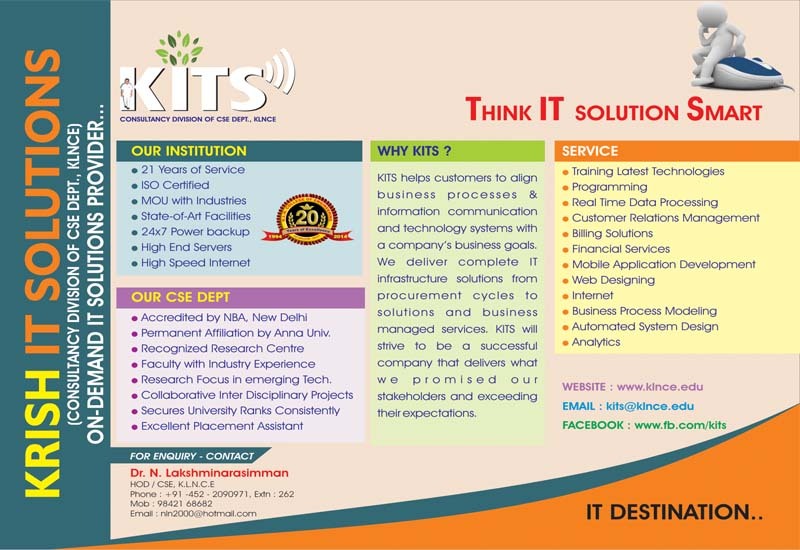 KRISH is an IT consultancy division of CSE department of KLNCE started in the year academic year 2015-16 and is one of the pioneers in providing IT solutions on various latest platforms. As an IT solutions provider KRISH manages, builds and implements IT environments of business systems critical to success in today's challenging and changing market. 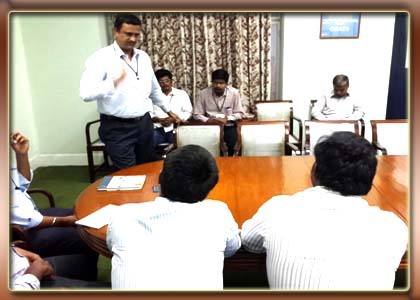 Having the faculty experts trained in recent technological advancements and full-fledged IT resources such as High End Servers and High Speed Internet, the team working for KRISH assures that the solutions provided for the industry problems will improve the productivity and efficiency in terms of reduced man power and turn over. 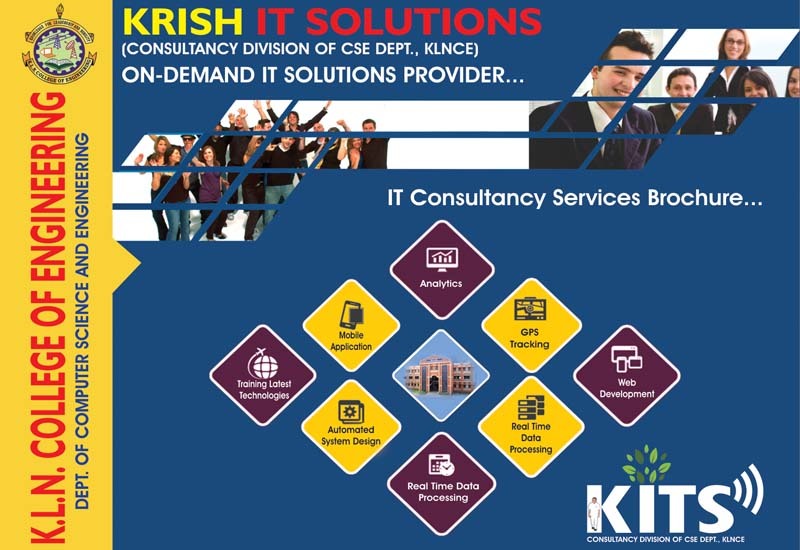 KRISH IT Consultancy provides solutions such as training in latest technologies, development of personal and commercial website (both static and dynamic website), mobile application development, IT infrastructure development and other solutions which help to grow the business and to achieve the target in the industry by step by step strategic planning within the time, budget and quality standards. Network Security Certification Course has been conducted to staff and students by using the softwares which is issued by the company. Free educator professional Development access to its leading software for use in teaching and academics on database design, SQL, and object oriented programming. It has given Centre of Excellence(COE) to our college for conducting the certification courses based on industrial needs. Infosys Campus connect program for the betterment of the faculty and students was evolved, by providing them with high calibre knowledge. Our department applied for research center status during August 2014 to Anna University, Chennai. After the inspection and other statutory process, Anna University recognizes the department as research center from Jan 2015 with reference number 4490406. Our department faculty member Dr.N.Lakshminarasimman and Dr.S.Miruna Joe Amali are recognized as research supervisors in the faculty of Information and Communication Engineering. Two part-time research scholars and One Full-time research scholar are pursuing research in the department. The department establishes an exclusive a research and development lab for the benefit of student and research scholars. The R& D Lab consists of the latest configuration system and accessories. Proposal for Sponsored Research / Consultancy to Industries/Govt/Research Agencies and Institutions. Revolutionary Device Structure and Materials. It is a great pleasure to communicate to our alumni students who have brought laurels to the institution. In an effort to improve the standard of education and enhance the wholesome development of our graduates, our renowned institution has adapted the Outcome Based Education model of National Board of Accreditation (NBA). 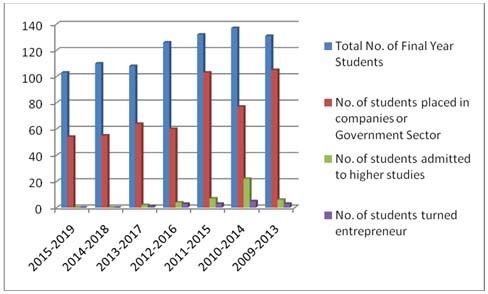 Based on their scheme, the Department of Computer Science and Engineering has designed its Vision, Mission, Programme Educational Objectives (PEOs) and Programme Outcomes (POs). A crucial step in this procedure is to identify and assess the PEOs. PEOs are defined as the statements those describe the expected accomplishments of graduates, three to five years after graduation. In this regard, we invite your feedback regarding your learning experience and how well the Programme met your expectation in your work environment. We value your honest and detailed response. The survey aims at obtaining information to be helpful in further enhancing the B.E. 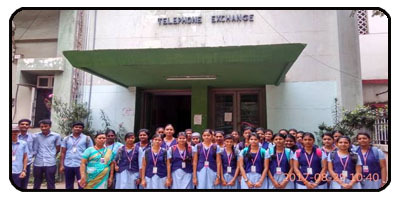 (CSE) Programme for the current students. It is a great pleasure to be associated with your esteemed organization through our graduates. On this regard, I wish to inform that, National Board of Accreditation (NBA), New Delhi, the Accrediting board for Engineering and Technology, has created an outcome based accreditation procedure to promote continual improvement in Engineering programmes. A crucial step in this procedure is to identify and assess the Program Educational Objectives (PEOs). PEOs are defined as the statements those describe the expected accomplishments of graduates, three to five years after graduation. In order to continuously improve the B.E. 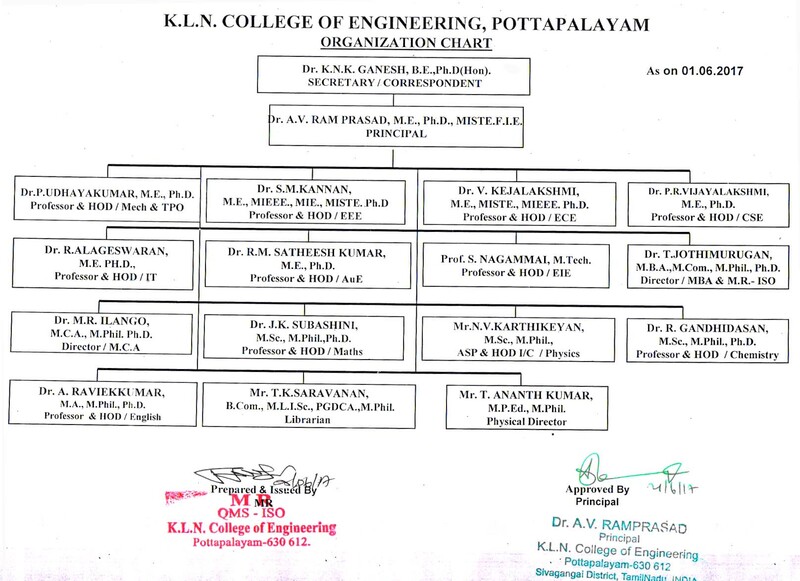 (CSE) Programme of K.L.N. College of Engineering, Sivagangai, we invite your feedback regarding the performance of our graduates and how well they are able to contribute in work environment for assessing the PEOs. We value your honest and detailed response. The survey aims at obtaining information to be helpful in further enhancing the quality of the graduates to be industry ready. 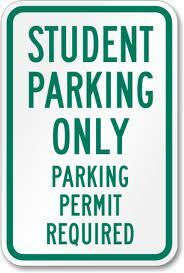 Please fill individual forms for all the employees from our college. It is a great pleasure to communicate with our main stakeholders - parents of our students/graduates. 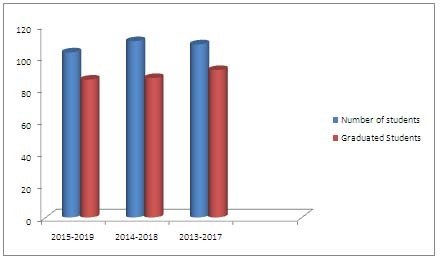 Our college has adapted the Outcome Based Education model of National Board of Accreditation (NBA) to improve the quality of education. Based on their scheme the CSE Department has designed Vision, Mission Programme Educational Objectives (PEOs) and Program Outcomes (POs). You are requsted to assess the PEOs which are defined as the expected accomplishments of graduates, three to five years after graduation. We invite your feedback regarding your ward’s acquired knowledge and skills. We value your honest and detailed response. 00000485 3DS MAX 6 ANIMATION (WITH CD) ... FOX TATA MCGRAW HILL PUBLISHING COMPANY LIMITED Inside ..